Preheat oven to 350. Lay out a 16 inch piece of parchment paper, set aside; line baking sheet with foil, spray with nonstick spray. In a large bowl, combine milk and Panko; let sit for a few minutes; stir in egg and seasoning, then the rest of the ingredients; get your hands in there and make sure it is all mixed up! 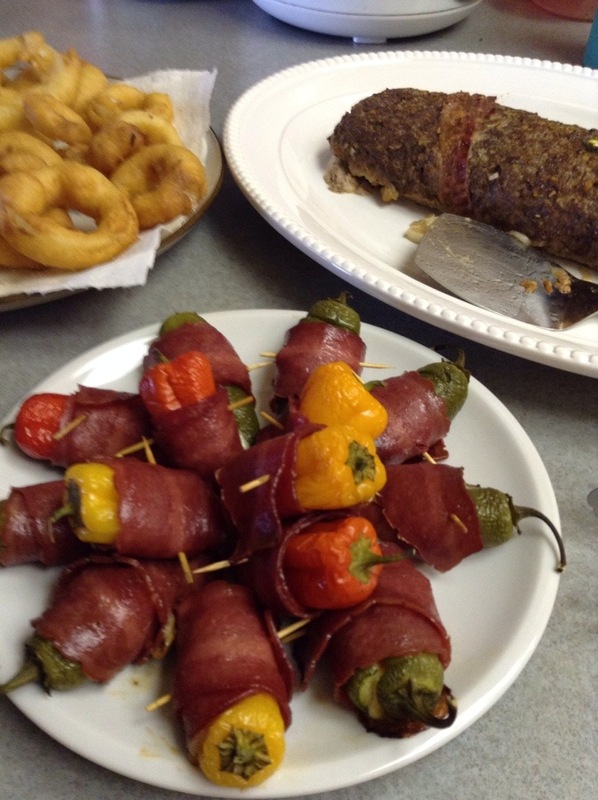 Pour meat mixture onto parchment paper; press out to a 10 x 16 rectangle, season surface of meat; leaving a 2 inch border along the length and a 1 inch border on the sides, start by sprinkling on the jalapeño, pressed slightly into meat mix, then layer the bacon and cheese, or any cheesy, yummy filling you choose. Starting with the long sides, start rolling meat mixture into a log form ( I use the parchment paper to keep everything nice and tight). Seal the seams by pressing together. Picking up the log, transfer to your foil- lined baking sheet. 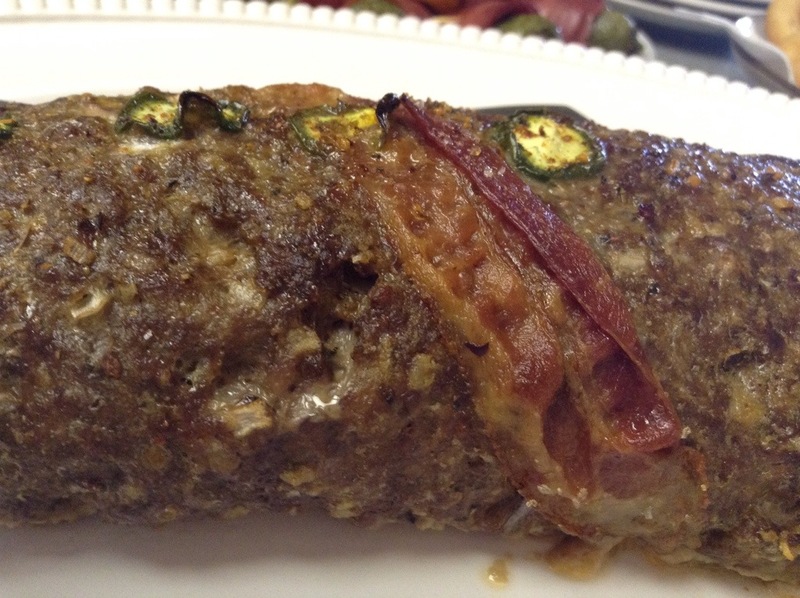 Press any additional jalapeño into the surface, wrap the top with any leftover bacon, tucking the ends under. This is where you can add your favorite rub, to get a nice crunch to the final outcome ( see post entitled “Mel’s magic meat” for my new go-to rub). Bake for about 40 minutes, rotating pan halfway through cook time. Remove from oven, let rest for 10 minutes; slice and devour! Mix the dry ingredients in a medium, shallow bowl, whisk in egg and buttermilk. Slice sweet Vidalia onions (thank you Anderson family!) in about1/4 – 1/2 inch thick slices, separate into rings. Using small tongs, fork or skewer, dip rings in batter, gently place in hot oil; cook for about 45 seconds on one side, then flip. Remove with basket stainer, onto paper towels. Sprinkle with kosher salt – enjoy! 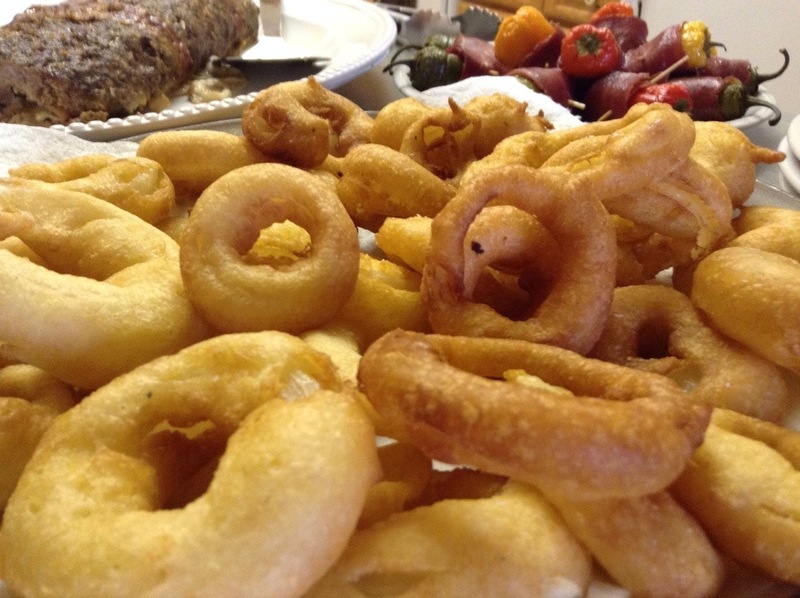 Tips: do not over crowd your onion rings – this allows for faster cooking… Allow your oil to get HOT before cooking the onion rings – this assures the oil cooks the onion rings and not just absorbs into them… The buttermilk does not make your rings taste sour – just keeps them light and crispy.